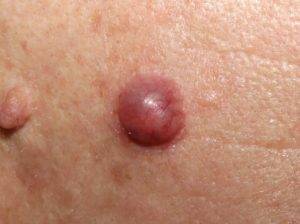 Basal Cell Carcinoma (BCC) is the most common cancer in humans. BCC typically occurs on areas of chronic sun exposed skin, especially head, neck and upper body. It is usually slow growing and it is significant because it can cause local destruction of tissue and consequent disfigurement. It should not be neglected for those reasons. 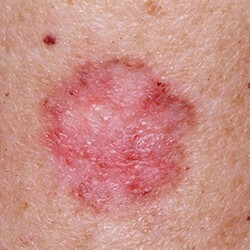 It almost never spreads to other parts of the body, unlike melanoma.